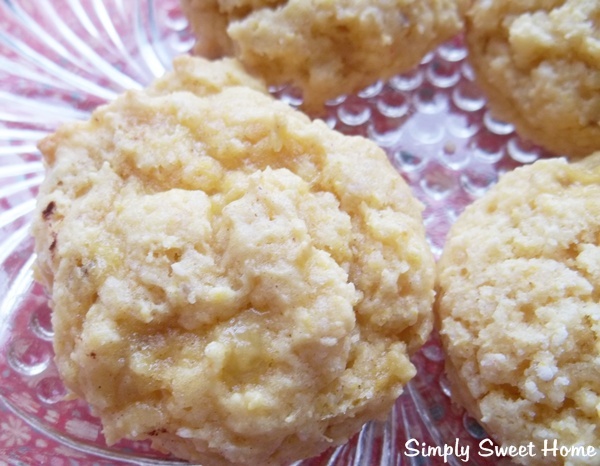 I love cake mix recipes, and I especially love cake mix cookies! Over the weekend I had a couple of ripe bananas that needed to be eaten, so I decided to look up a recipe for Banana Cake Mix Cookies! I used a recipe I found over at Best Ever Cookie Collection, making just a couple of slight changes. 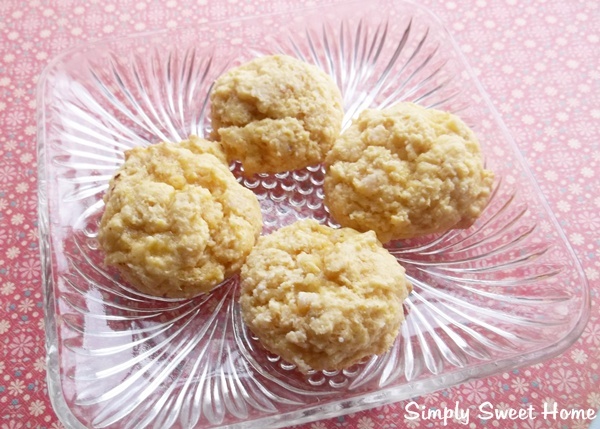 And their recipe was based on one found in Cake Mix Cookies by Camilia V. Salisbury . My cookies turned out absolutely sweet and delicious, and I’d definitely make them again! If you love banana, you should give them a try too! Hope you enjoy! Preheat oven to 350 degrees. Pour cake mix into mixing bowl. Stir in cinnamon. Add oil and egg. Use fork to mash up banana and add in. Mix on low until well combined. You will probably need to use a spoon to scrape cake mix off the sides of the bowl in order to help combine it. Shape into balls and place on greased cookie sheets. Makes about 2 dozen if using a cookie scoop. Optional Add-ins: 1 cup of chopped nuts or 1 cup of chocolate chips. Or top with chopped nuts and/or a mixture of cinnamon & sugar. As a lover of all things banana, I take my Witch’s hat off to you! So gonna make this.